Imagine having your own resource available online 24/7 to help you design solid educational products. With the Virtual Design Center you get both online help and the ability to work with one of our educational experts from the Center for Educational Technologies® as well. The Virtual Design Center teaches you how to create inquiry-based learning activities that use real scientific data and technology. 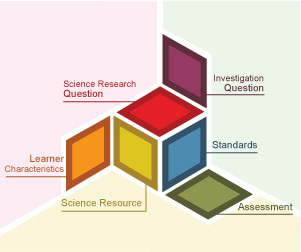 NASA funded its creation to ensure that new classroom investigations are based on good science and solid educational design theory.